Amygdalus fragements are very common at Jerf el Ahmar yet absent from Dja'de. We identified two types. Left fragment of charred Amygdalus cf orientalis Jerf el Ahmar 441. 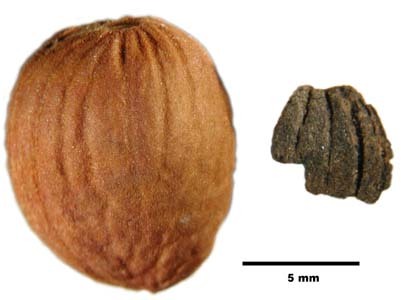 Right modern Amygdalus orientalis from the Jebel Abdul Aziz in north-east Syria. 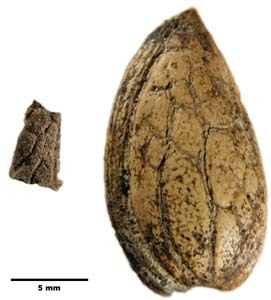 Modern Amygdalus webbii from south-east Anatolia. Amygdalus cf. webbii Jerf el Ahmar 441.